Jeep has a long history of creating vehicles that push boundaries. They are the originators of the modern off-road vehicle. Jeep vehicles, which are diverse in what they have to offer, are built tough, with the ability to tackle any terrain. Whether it be the iconic Jeep Wrangler, with its unmistakable body frame and look, or the luxury liner that is the Jeep Grand Cherokee, Jeep has shown it’s capable of producing the highest quality vehicle, no matter what type that may be. The 2018 Jeep Cherokee is one of the most dynamic vehicles on the road. It’s a vehicle designed to give you the unique experience of Jeep capability, supreme comfort, and efficiency. With the 2018 model, the Cherokee brings forward something fresh, something that looks to continue to push performance boundaries. It’s created a new trim, the Cherokee Trackhawk. The 2018 Cherokee TrackHawk is a vehicle that is built to perform. The Trackhawk has some seriously aggressive styling to it. Its got a more muscular look to it, riding higher than your typical SUV. 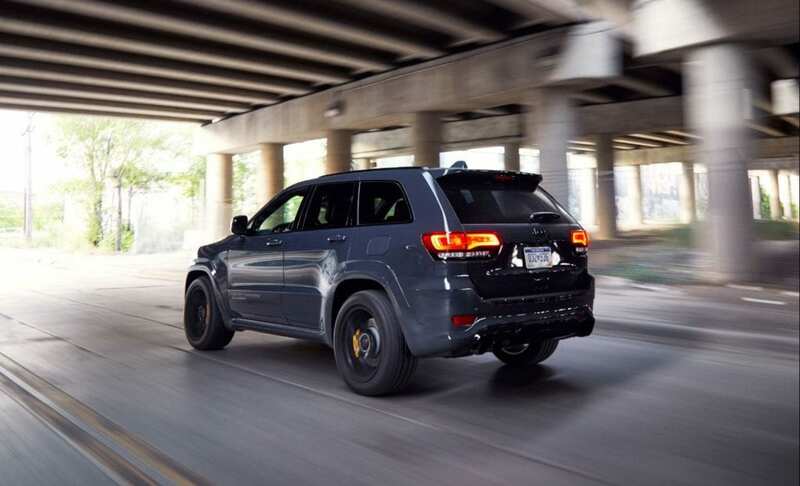 It’s got some stylish flair to it as well, with a center-mounted accent on the front hood, and yellow brake calipers in the wheel to give the Trackhawk an extra pop. It still has the heart and soul of the Cherokee designed; it just has a performance slanted accent to it. It’s a dynamic SUV that looks as if it belongs on the track. The 2018 Jeep Cherokee has all the rugged capability, and the Cherokee Trackhawk pushes that to the next level. The 2018 TrackHawk comes built with a 6.2 L V8 engine that musters a mean 707 horsepower and 645 lb-ft of torque. It’s a vehicle designed, from head to toe, to move fast, built to take on top speeds and tight corners that you’d normally find on a race track. With that power, comes a level of comfort not normally found in vehicles that have such a heavy performance focus. It’s a vehicle that manages to be supremely power and superbly comfortable at the same time. Jeep vehicles are built to handle anything. To do so, they need to be intelligent. The 2018 Jeep Cherokee Trackhawk handles intelligence with the same care as it does handling its engine. 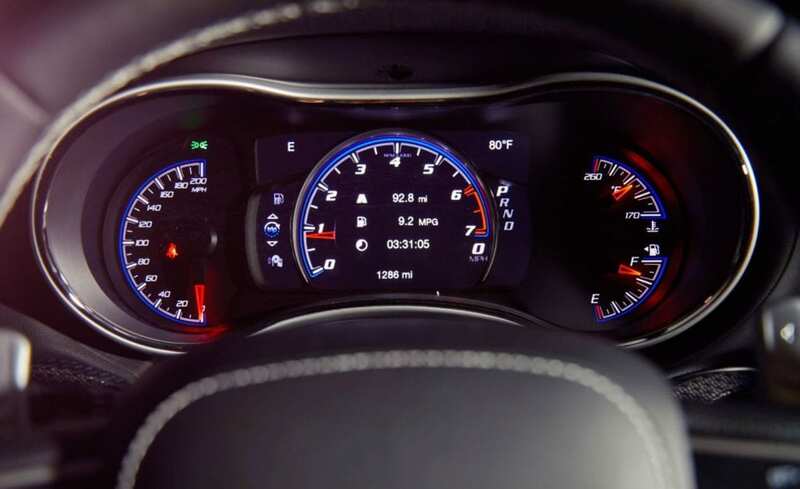 Using Uconnect as its central hub, the Cherokee gives you access to a variety of audio functions, 3C Nav System, and phone-based applications, all design to help improve your drive. A 7-Inch touchscreen display helps you navigate the various multimedia menus, Apple CarPlay, Android Auto, DVD entertainment system, a ParkView Rear Back up camera, Park Sense Front and Rear Assist system, as well as a variety of active and passive safety features. Come into Great West Chrysler to check out the 2018 Jeep Cherokee Trackhawk for yourself or book a test drive online today!